A reliable doorbell with a large operating range – meaning it is ideal when there are many walls. 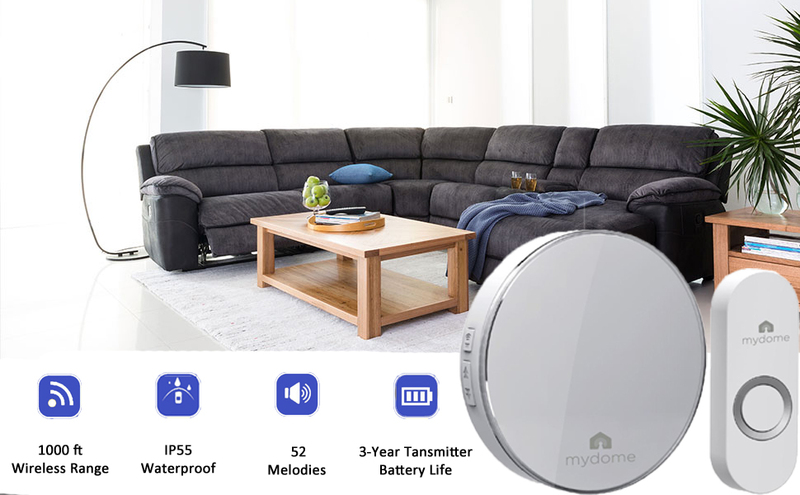 Twin chime model – Another great product from Mydome. The MD-DG2 Plug-in Wireless Door Chime and Push Button makes it easy to replace your home’s generic doorbell ring with a chime tune that better fits your individual style. This chime is also compatible with a wide range of optional security accessories that can help you safeguard your home and family, and it comes complete with a pre-programmed bell push button. This unit lets you choose the best way to be notified when someone is at your door – with LED light on the chime.